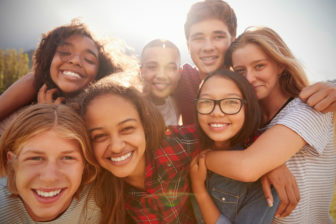 Tens of thousands of adolescents in Connecticut still do not have access to effective mental health care, despite the passage of a 2008 federal law requiring health insurers to provide equal benefits for mental health. Poor access to care leads to undiagnosed or misdiagnosed mental illness in children and adolescents, an increase in use of emergency rooms for psychiatric issues, and is a risk factor for severe mental illness, substance abuse, failure in school, and entering the juvenile justice system. National studies show that about 1 in 5 children and teens have mental illness, but only one quarter of them receive services. “That leaves about 125,000 children without mental health care in Connecticut,” said Susan Kelley, director of the Alliance for Children’s Mental Health. About 125,000 adolescents in Connecticut are not receiving mental health services. Some say that estimate is low, partly because it doesn’t capture mental illness misdiagnosed as behavioral problems. “I think that’s a very optimistic figure,” said Eliot Brenner, PhD, president and CEO of the Child Guidance Center of Southern Connecticut. “It’s probably closer to 80 percent who need mental health treatment that aren’t getting it,” he said. Advocates point to low reimbursements by health insurers, which discourage psychologists and other mental health providers from joining networks, and lead to high out-of-pocket costs for families. In Connecticut, poor access can also be traced to a lack of coordinated services for children and families in need. Many qualified mental health providers do not participate in insurance networks in Connecticut. In fact, state legislators are pushing for the passage of Senate Bill 384 that requires insurance companies to offer a larger network of mental health providers and require mental health screenings at all annual physical exams. A study in JAMA Psychiatry found that a little over half of psychiatrists nationally take insurance, compared with close to 90 percent of physicians in other medical specialties. One reason is low reimbursement rates, according to a report by the National Alliance on Mental Illness (NAMI). “For the amount of time that’s needed to spend with a patient, the private insurers don’t pay enough for many clinicians to accept insurance,” Brenner said. According to the NAMI survey, 34 percent of people with private insurance reported difficulty finding a mental health therapist in network. Of those who had received residential mental health care, 27 percent reported trouble finding an appropriate facility, either in or out of network, and 24 percent had to go out of network, racking up large out-of-pocket costs. “There are hard-working middle-class families who do pretty well, but they can’t afford certain mental health services, especially residential care,” Kelley said. Evelyn Cope of Stratford, faced many obstacles when seeking care for her daughter, who began having behavioral issues in third grade. Though Cope brought her daughter to mental health specialists in her private insurance network, she was not happy with the quality of the care. Her daughter was misdiagnosed with attention deficit hyperactivity disorder (ADHD), bipolar disorder, and disruptive mood dysregulation disorder. “They talk to you for one minute and just give you medication,” Cope said. When her daughter became more difficult and combative, Cope tried to find a comprehensive program for her, but she was told there was a long wait list because she had private insurance. When she finally got on Husky after a divorce and had access to programs, they would only last a few weeks or months, but her daughter needed more continuous care. “My first question was always, ‘How long is the program?’ ” she said. Most experts agree that comprehensive services, which not only provide therapy or medication to a child, but also offer support to the family, are the most effective. Yet few such programs exist. “If you have a child dealing with a behavioral health problem, it’s not a child’s problem, it’s a family system problem,” said Leanne McEvoy, executive director of Empowering Children and Families (ECF), a nonprofit organization in Monroe that offers comprehensive services. Programs need to address a range of issues, including parenting and family dynamics, educational issues, and health and cultural issues. “In the public and private sector there is no coordinated care,” McEvoy said. State budget cuts have made things worse, with cutbacks eating into some programs for children, particularly higher levels of care, such as inpatient services and day treatment programs for the most seriously ill. That puts increasing pressure on community-based organizations. “Kids who need more intensive programs are being treated with less intensive programs, which is not adequate,” Brenner said. School-based programs offer mental health care, but it is not enough to meet the demand. According to the 2017 Connecticut Children’s Behavioral Health Plan: Progress Report, demand for mental health services in schools is greater than provider hours, and budget cuts have worsened the situation. “The problem is that we don’t have a coordinated mental health system that asks ‘What are the mental health needs of children in the state, and what funds and programs do we have to meet those needs,’” Kelley said. Public Act 13-178 Children’s Behavioral Health Plan was mandated to address this issue in 2014, in response to the Sandy Hook school shooting. While some progress has been made, advocates say there has been little success in coordinating children’s mental health services. Like Cope’s daughter, many children, especially African American and Hispanic children, are diagnosed with behavioral aggressive conduct issues and ADHD rather than mood disorders. “I’ve heard from many parents: As soon as my child hits the third grade, it becomes a behavioral issue—the way it’s addressed—not a mental health issue,” said Tirzah Kemp, program manager at New Haven’s Clifford Beers Clinic, which treats children who have experienced trauma. “They are sitting with depression or anxiety and if it’s being labeled as bad behavior and not being addressed as a mental health issue, it is a pipeline to delinquent behavior and the juvenile justice system,” Kemp said.